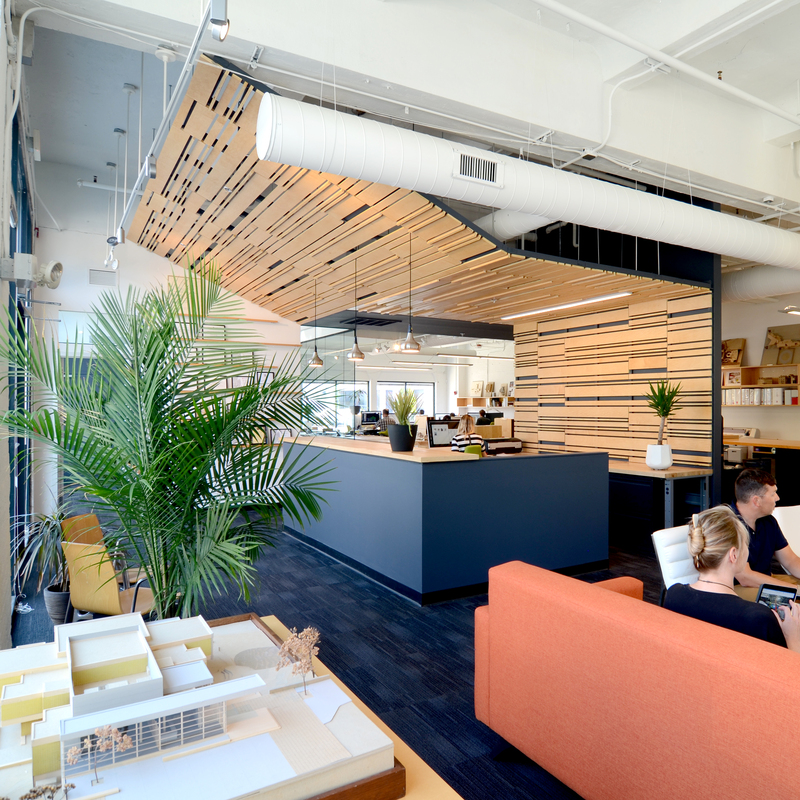 KITE Architects designed its own new and expanded studio in Pearl Street Lofts in 2017. It is close to the heart of downtown Providence, and the mixed-use loft complex has a growing list of creative businesses within its historic mill buildings. 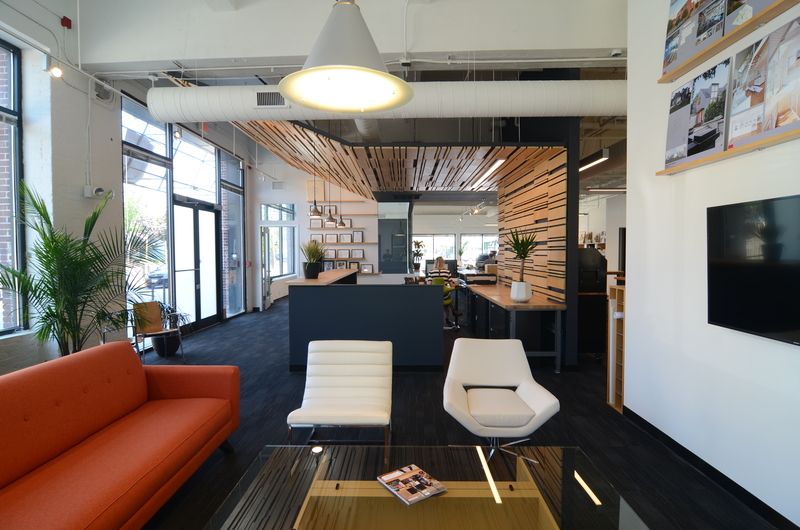 The reception area features a custom wood ceiling and wall that exemplifies KITE’s approach to materials. It takes otherwise mundane plywood and creates a richly textured pattern that folds and welcomes everyone into the space. 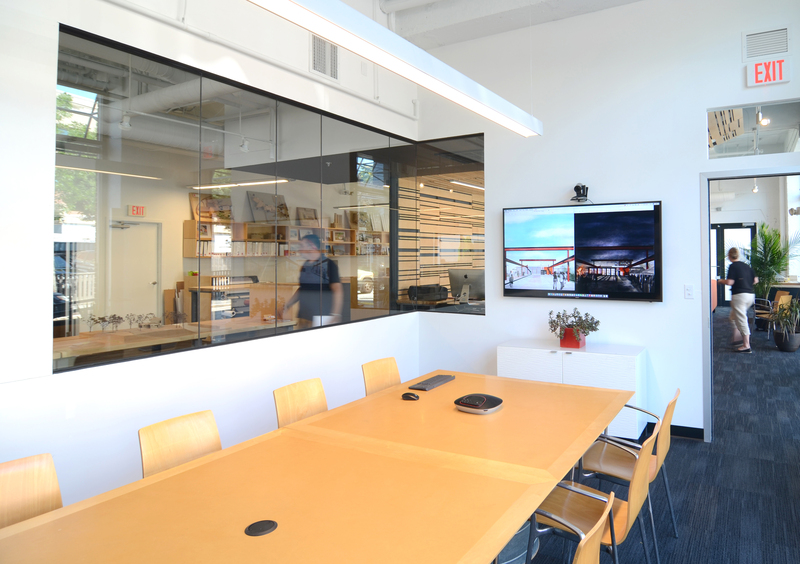 The design maximizes daylight offered by glass on three sides by using minimal partitions to orchestrate sight lines between zones and loosely define meeting, workspace and reception areas. Meeting areas include a work lounge which provides a comfortable area for informal client meetings, review of electronic files and hosting events. Work spaces are flexible and use industrial workbenches paired with adjustable height desks. The finish palette is restrained and showcases maple furnishings and bright color accents.